The Island of Mallard Lakes provides tranquil water views from the 1st floor of this town home. Have your coffee on the screened in porch and watch the wildlife. Sit in the swing and read a book. The 1st floor has been totally renovated from the studs out. All new SS appliances in the kitchen. New full size front load washer and dryer.2 beds upstairs with a full bath and soaking tub. Guest bed has bunks with room for blow up mattresses under the bunks. Could sleep up to 6 in the 2nd bedroom. All window blinds are custom made by Hunter Douglas. The porch has one privacy shade so you cant see your neighbors but can still enjoy the water views.Fish and crab out back. This is an amenity filled community with pool, tennis courts, playground, basketball and clubhouse. 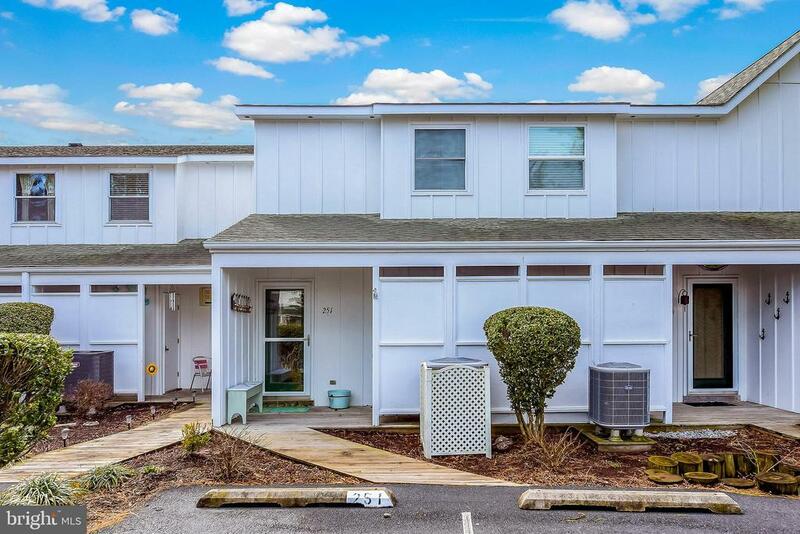 2 miles to Ocean City and Fenwick Island. You wont want to miss this one!